If you�ve ever wondered how to build your own programming language or wanted to learn C but weren�t sure where to start, this is the book for you. In under 1000 lines of code you�ll start building your very own programming language, and in doing so learn how to program in C, one of the world�s most important programming languages. Along the way we�ll learn about the weird and wonderful nature of Lisps, the unique techniques behind function programming, the methods used to concisely solve problems, and the art of writing beautiful code. Build Your Own Lisp is a fun and creative journey through a fascinating area of computer science, and an essential read for any programmer, new or old! 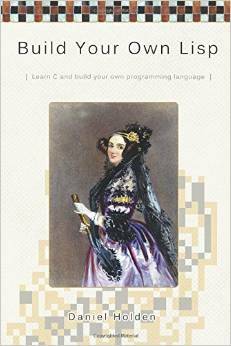 In this book you'll learn the C programming language, and at the same time learn how to build your very own programming language, a minimal Lisp, in under 1000 lines of code. This book is not suitable as a first programming language book, but anyone with at least some minimal programming experience, in any language, should find something new and interesting inside.